PARIS — The leak of what purports to be a National Security Agency hacking tool kit has set the information security world atwitter — and sent major companies rushing to update their defenses. Experts across the world are still examining what amount to electronic lock picks. Here's what they've found so far. The tool kit consists of a suite of malicious software intended to tamper with firewalls, the electronic defenses protecting computer networks. The rogue programs appear to date back to 2013 and have whimsical names like EXTRABACON or POLARSNEEZE. 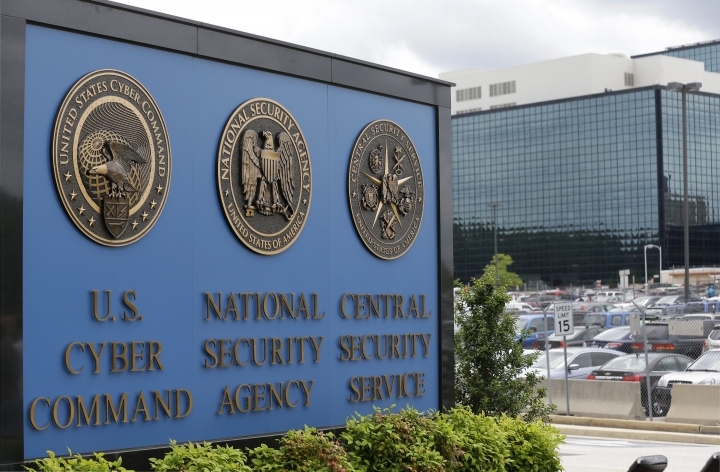 Three of them — JETPLOW, FEEDTROUGH and BANANAGLEE — have previously appeared in an NSA compendium of top secret cyber surveillance tools . The leaked tools "share a strong connection" with the Equation Group, Kaspersky said in a blog post late Tuesday. The Moscow-based company said the two used "functionally identical" encryption techniques. The leaked tools also appear to be powerful, according to a running analysis maintained by Richmond, Virginia-headquartered Risk Based Security. The group said several of the vulnerabilities targeted by the malware — including one affecting Cisco firewalls — were previously unknown, a sign of a sophisticated actor. "If the NSA discovered breach in 2013 and never told Cisco/Fortinet, this is VERY BAD," he said in a message posted to Twitter . "If they didn't know, this is VERY BAD." The documents have been leaked as part of a surreal online auction by a group calling itself "Shadow Brokers." Their madcap, Borat-like manifesto rails against the "Wealthy Elite" and the group's name appears to be a nod to the "Mass Effect" series of video games, where an elusive Shadow Broker traffics in sensitive information. The leak looks like a warning that any attempt to point the finger at Moscow over alleged electoral interference "could get messy fast," Snowden tweeted. He did not return messages seeking further comment. In a blog post , Suiche said he'd been contacted by a former NSA analyst who pointed out that the tools leaked online normally resided on a segregated network and that the way they were named suggests the data was copied direct from the source. Suiche cautioned it was just a theory. "We'll never know," he said in a message to AP. Shadow Brokers have already published much of the data they claim to have. The rest — "the best files" — will be released, they claim, to whoever wins the auction. The content of the files is secret, the group said in its announcement. So too is the length of the auction, which it said would end, in its signature broken English, "when we feel is time to end." Hopeful bidders have been invited to send bitcoins — the borderless electronic currency — but as of late Wednesday the address specified by the group had only gathered 1.72 bitcoins, or $981. This story has been corrected to show the reference should be to a former NSA analyst, not a former NSA hacker.